While all our pets make a mark in our lives, often it’s the memories made and the lessons learned with our childhood pets that stay with us forever. For 10 year-old Kate, this journey has started with the recent adoption of five month-old kitten Lloyd. According to her mum, Kate had her heart set on getting a new pet after the family’s beloved dog passed away at the end of last year: “We made the promise to Kate that if she showed that if she could be responsible during her first school term, then she could adopt a cat,” said Kylie. After doing some research online, Kate fell in love with little Lloyd upon seeing his picture on our website. “As part of our discussion, we agreed that our new cat would be adopted through a shelter like The Lost Dogs’ Home. “Every single day in the lead up to Lloyd’s adoption, Kate would check out the Home’s website to see which cats were available for adoption. She had her heart set on Lloyd from the beginning; there was no changing her mind,” said Kylie. When the day came to adopt Lloyd, there was a sense of excitement in the air for Kate and Kylie. Coming into the Home during the Adopt-A-Thon cat adoption drive, Kate knew exactly where she needed to go and who she wanted to see. Like any responsible owner, Kate took the time to research the items Lloyd needed to settle into his brand new home. “It was important to Kate to make sure we had everything in place so Lloyd would feel welcome at home. “Kate did all her research beforehand and worked out all the things Lloyd would need to feel comfortable at home, from the right food to having the right litter,” said Kate. Quickly adjusting to his new home, Lloyd has now only weeks on become a valued member of the family. 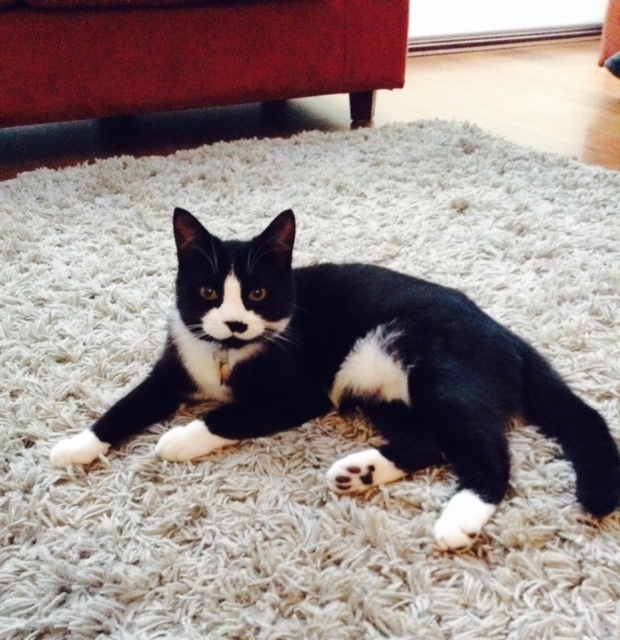 “Lloyd took a day or two to settle in, but he is now one of the family. He is there to welcome us home at the end of the day and enjoys sleeping at the end of Kate’s bed at night. 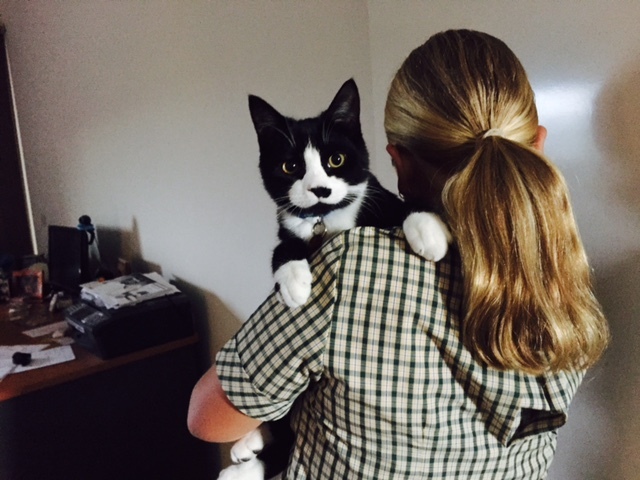 “Lloyd is fabulous and is exactly the new family member we were after,” said Kylie. Until May 31, we are calling on you to Share the Warmth with our fabulous felines! Fee: Fee-waived adult cats aged six-months and over, $85 for kittens less than six-months of age. Conditions: Completion of a pet licence test either at the shelter or via petlicence.com.au. Renters need to provide a copy of their Rental Agreement showing approval to keep a cat. Check out our existing adoption candidates at or come over to our North Melbourne and Campaspe shelters to meet them in the fur!